Toronto, Ont. 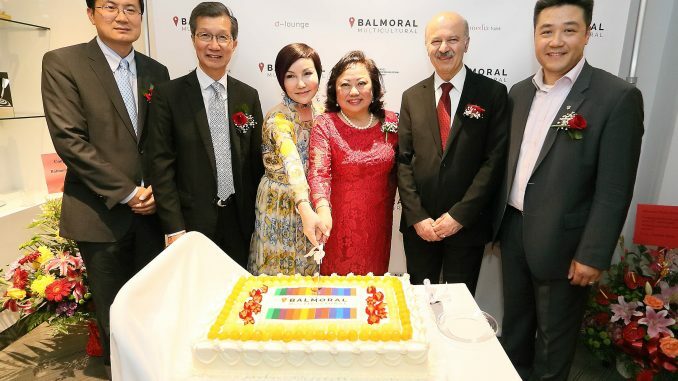 – Over 100 dignitaries, clients and friends came together to celebrate the rebranding and office warming party of Canada’s leading multicultural marketing agency, Balmoral Multicultural Marketing. Balmoral hosted a cocktail party at their new office located in the heart of downtown on June 7. Balmoral announced the rebranding to reflect its expanded mission to be more cutting edge, adding new lenses on the market and expertise to its social marketing resources. 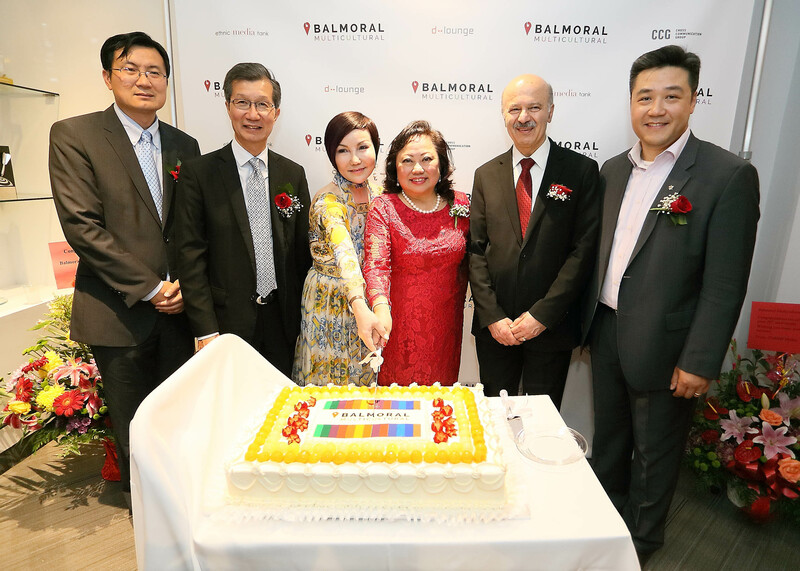 To enhance their expansion, Balmoral has partnered with Cross Communication Group (CCG), a leading digital advertising agency in China. CCG has 600 employees across five cities in China – Shanghai, Beijing, Guangzhou, Chongqing and Hong Kong . “The timing was right, an expanded tech-savvy cadre of professionals, focused on digital marketing and social media opportunities afforded us new larger premises at Toronto’s Atrium on Bay complex,” says President Sharifa Khan. Dignitaries included Hon Michael Chan, Minister of Citizenship, Immigration and International Trade, Reza Moridi, Minister of Research and Innovation & Minister of Training, Colleges and Universities, MPP Han Dong and Xu Wei, Deputy Counsel General of the People’s Republic of China in Toronto.